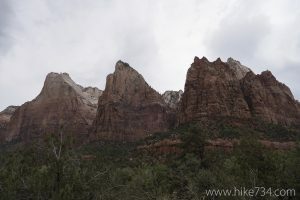 This short, paved path runs from the Court of the Patriarchs shuttle stop to an unobstructed view of the area called Court of the Patriarchs. This “court” is a magnificently walled-in area across the canyon created by a group of mountains. The mountains are named after the patriarchs of the old testament of the Bible, Abraham, Isaac, and Jacob with another peak named Moroni, a prominent figure of the Mormon religion. The viewing area contains a few interpretive displays discussing the court as well as some other geologic features in the area. 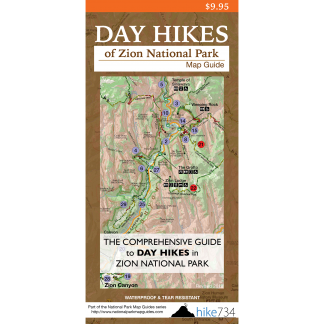 Trailhead: Take the National Park Service’s free shuttle to the Court of the Patriarchs stop in the main Zion Canyon or drive the Zion Canyon Road if the shuttles aren’t running and the road is open to private vehicles.